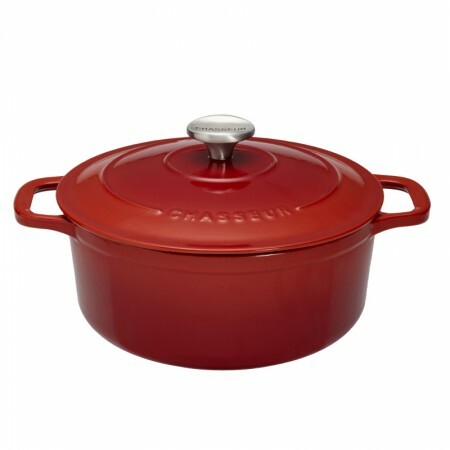 Beautiful and efficient at retaining heat, every Chasseur casserole such as this 18cm cast iron casserole in bright chilli red is made in France from high quality cast iron and comes with a lifetime guarantee. This small Casserole holds 1.8 litres, enough for 2 servings. The ultimate choice for slow cooking delicious casseroles and stews, and good looking enough to take straight from oven to table. Cast iron also retains heat and keeps second helpings warm. You can use it on all types of hobs (even induction and glass hobs thanks to its smooth enamelled base) as well as in the oven. 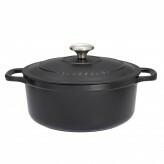 Our new casserole design incorporates larger, more ergonomic handles for easier, safer lifting, an attractive, more rounded base so you can reach every part of the base of the casserole when stirring, a more practical matt black enamelled interior, a re-designed lid that highlights the brand and its French origin, and finally a smart stainless steel lid knob as standard. Cast iron, with its even heat distribution, heat retention and fuel-efficiency, makes cooking easier and more economical. The 'self-basting' lid is designed with drip rings so, during cooking, as moisture collects it falls back onto your casserole, keeping it basted and deliciously moist. The casserole is double-enamelled for durability and to make it easy to clean and dishwasher safe. 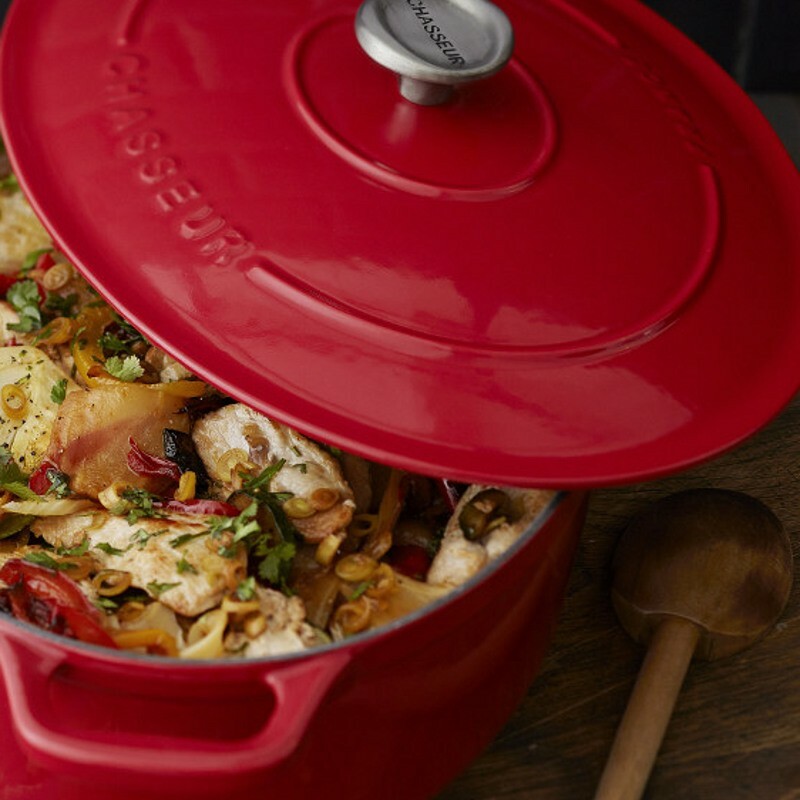 Fashionable yet practical looks and durability are combined in this compact cast iron enamel casserole pot in a fantastic chilli red enamel finish with 1.8 litre capacity.